KAMPALA– The government will beginning this financial year recruit senior four leavers as community health extension workers (CHEWS) in the initial phase to provide basic healthcare in villages for the next three years. According to the ministry of Health, the move is in line with the ministry’s initiative to promote its new healthcare delivery model that focuses more on disease prevention to decongest public hospitals and health facilities in rural areas. Ms Sarah Opendi, the Minister of Health in charge of General Duties, said the extension workers, will be trained how to identify sick people, conduct home visits and community outreach services such as carrying out routine immunisations, HIV counselling and testing among others. “We have picked up 13 districts in northern Uganda, especially those with poor health indicators to pilot the programme. 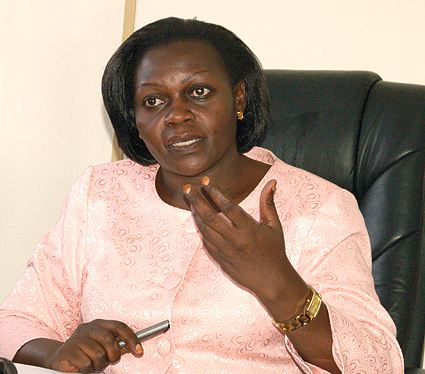 We hope to roll it to all districts in the country,” said Ms Opendi August 22. She said a total of 15,000 senior four leavers will be recruited between 2018/19 and 2021/22 financial years to provide basic healthcare in villages. Mr Emma Ainebyoona, the senior spokesperson at the ministry of health said this financial year, 1,500 CHEWS will be recruited, 3,000 in the next financial year, 6,000 in the 2020/21 financial year and 4,500 in 2021/22. Mr Opendi said the ministry has Shs3b from the 2018/19 budget and is making preparations for the policy that now requires Cabinet approval to allow the deployment of CHEWS. The recent figures by Uganda National Examinations Board show that about 300,000 students sit O-Level examinations every year. Of these, 90 per cent on average pass to qualify for certificates but those who cannot proceed to A-Level are eligible to pursue courses in Business Technical Vocational Education Training, Teaching Training Colleges and other institutions that offer various certificate courses. The CHEWs will be trained for six months on health issues before they are deployed to their respective parishes to work with qualified health workers. They will be paid $100 (about Shs370, 000) as a monthly allowance unlike their predecessors; the village health teams (VHTs), who have been working as volunteers. There were also no specific academic qualifications for VHTs as long as one could read and write he/she would qualify for the job. According to the ministry of health the VHTs will be phased out but those with the requisite O-Level qualifications will be upgraded to CHEWS. The monthly allowance paid to CHEWs is higher than the average monthly salary for the lowest health worker and lowest primary school teacher who are paid Shs228, 612 and Shs313, 832 respectively as per the new public servants salary structure for the current financial year. Dr Christopher Oleke, the CHEW national programme coordinator in the Ministry of Health, said the CHEWS will also administer de-worming tablets to children and treat malaria and diarrhoea cases in the community. “We want them to ensure that the communities and families access the necessary health services. Secondly, we want people who can effectively educate our people on issues of disease prevention, promotion of personal hygiene and sanitation in the homes,” Dr Oleke said by telephone on Wednesday. “We want them to help us collect necessary data from the community like the number of malnourished children; data on some diseases; how many people are affected by this kind of diseases and reporting the occurrence of strange diseases in the community to the health facilities,” he added.